Medicom has released the first photos for a new Star Wars Kubricks 2-pack. the new set includes Han Solo and Luke Skywalker disguised as Stormtroopers. 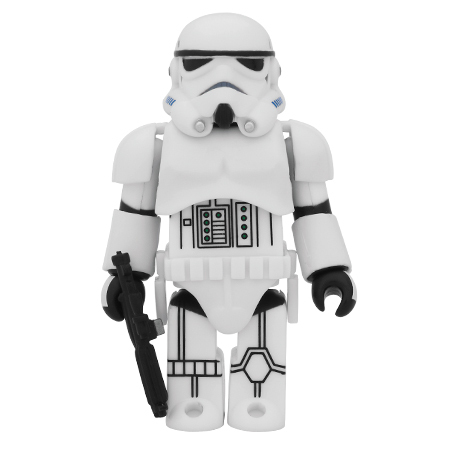 You can display them with their character heads or with Stormtrooper helmets on. They are due for release this December for 3,129 Yen (about $37 USD). Boba and Jango are looking so sick!!!!! Have to agree, they look really good. I really like the attention to detail. 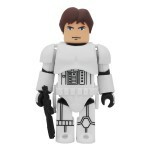 I still don't get the appeal of Be@rbricks, though. Obviously, it's still there since they're still making them. Of course, there are probably people who feel the same about Mighty Muggs and SHS/RH/CH. Still hate Bearbricks. I really don't understand why they exist. Must be some kind of cultural gap or something. Arghh I need a job.